The Trading Standards Institute is warning households about the latest cold-calling scam where occupants are pressured into having moss removed from their roofs. Regional Trading Standards authorities have received a large number of complaints from concerned consumers who have been quoted a ‘cheap’ price for the work, only to find the price has increased following completion of the job. 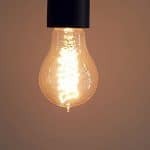 In some instances individuals have felt pressurised into having the unnecessary work carried out. 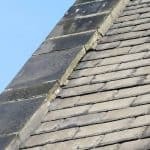 The NFRC (National Federation of Roofing Contractors) has also received an unprecedented amount of calls from people who have been approached about moss removal, which is usually followed up with the tiles being painted in order, so it is claimed, to prolong the life of the roof. 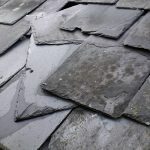 A spokesman for Trading Standards said: “In most instances, moss on roof tiles is rarely a problem and only needs to be removed if it is blocking gutters. If you live in Leeds and have been approached by cold-callers claiming to offer this roofing service then contact Trading Standards on 08454 04 05 06. 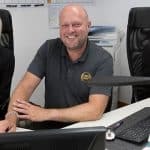 Alternatively, if you are looking for a trusted roofing contractor in Leeds to carry out repairs or maintenance to your roof then contact DPR Roofing Leeds on 0113 335 0043. Our reputation as a trustworthy roofing contractor is supported by our TrustMark accreditation. Only Government approved traders can carry the TrustMark logo and recruit reputable and trustworthy tradesmen.